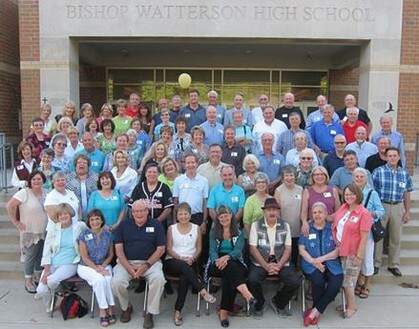 Welcome to the Bishop Watterson High Class Of 1965 web site! We hope that you will participate in this website and keep your information updated so you can receive emails and other correspondence about your classmates and planned events. Everyone is welcome to be an active participant in this site, email other students and post messages on our message board. To join this site, click on your own name in the Classmate Profile section. If your name needs to be added, please contact us. If you did not graduate with the class, but attended other years, let us know. We'd love to have you join us! Please scroll down the page to read all announcements. Grateful and proud of all BWHS alums who have given service to our country, the school is compiling a database of military service of those who have served. Contact Mike Roark at mroark@cdeducation.org. Please include your name, graduation year, branch of service, etc. 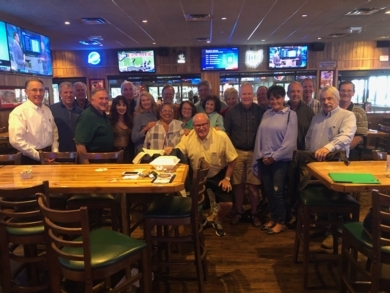 Thanks to all who could join the "No Name" group of classmates for lunch on Sept.10,2018. We are going to try it again sometime in early spring of 2019. I hope more of you will be able to attend the next gathering.